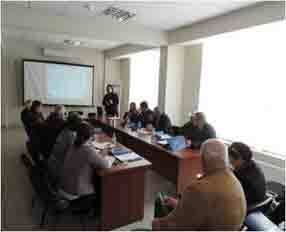 On December 19 and 20, 2013, in the framework of the project “Clean Up Georgia – Raising of Public Awareness and Involvement in Solid Waste Management Improvement” (Phase II), was arranged the meeting with the teachers of Akhmeta and Telavi Municipalities schools. The aim of the meeting was to raise public awareness of teachers in the field of solid domestic waste management. The teachers were provided with comprehensive information about the latest technologies and best practices of sustainable waste management. There was also a discussion on issues related to waste problems in schools. 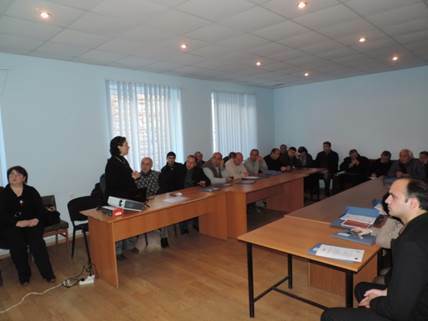 On December 17 , 2013, in the framework of the project “Clean Up Georgia – Raising of Public Awareness and Involvement in Solid Waste Management Improvement” (Phase II), was arranged a seminar in Dedoplistskaro Municipality, village Samreklo. 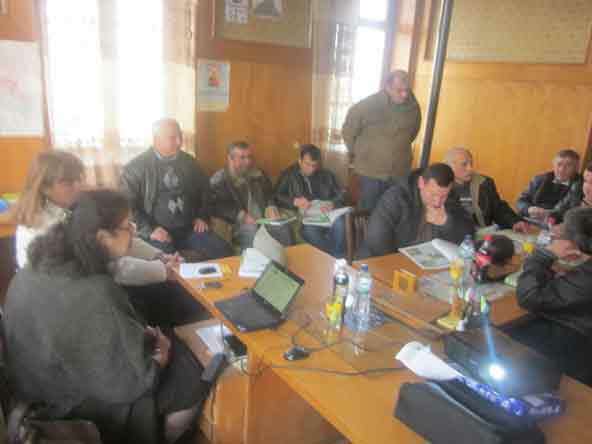 The meeting took place at the administrative building of the village and was attended by 15 people, including representatives of Municipality Supervision Service and village active members. An information package on waste management related issues has been distributed among the participants. 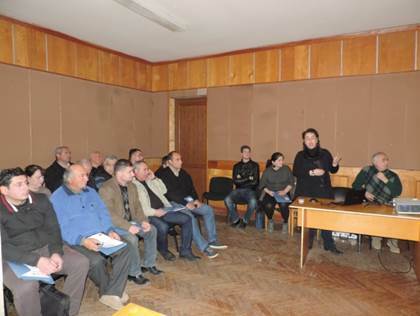 On December 13, 2013, in the framework of the project “Clean Up Georgia – Raising of Public Awareness and Involvement in Solid Waste Management Improvement ” (Phase II), Georgian Society of Nature Explorers “Orchis” arranged a Meeting in Khvareli Municipality with the participation of the representatives of Khvareli Municipality Sakrebulo and Gamgeoba, Local Authorities, LTDs, NGOs, and others. 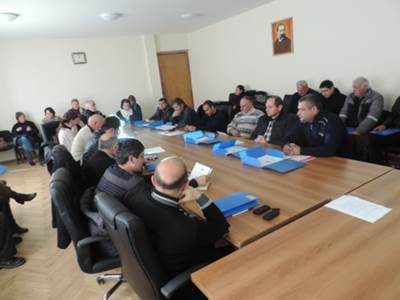 On December 11 and 12, 2013, in the framework of the project ‘Clean Up Georgia – Raising of Public Awareness and Involvement in Solid Waste Management Improvement’ (Phase II), was arranged the meeting with the teachers of Gurjaani and Signagi Municipalities schools. The aim of the meeting was to raise public awareness of teachers in the field of solid domestic waste management. The teachers were provided with comprehensive information about the latest technologies and best practices of sustainable waste management. There was also a discussion on issues related to waste problems in schools. 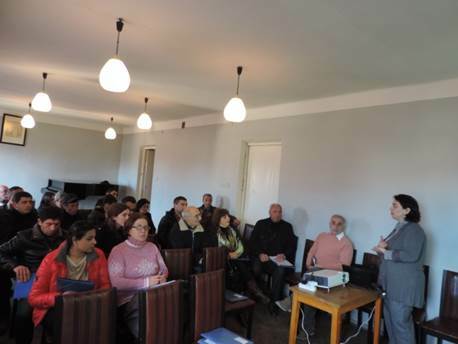 On November 1, 2013, in the framework of the project “Clean Up Georgia – Raising of Public Awareness and Involvement in Solid Waste Management Improvement ” (Phase II), Georgian Society of Nature Explorers “Orchis” arranged a Meeting in Sagaredjo Municipality with the participation of the representatives of Sagaredjo Municipality Sakrebulo and Gamgeoba, NGOs, mass media and others. 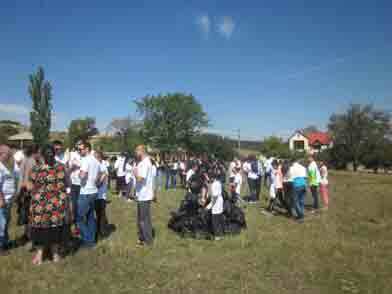 Clean Up action has been initiated and organized by the Swedish Embassy at the embassy nearby area, where along with organizers the representatives of implementing consortium of the project ““Clean Up Georgia – Raising of Public Awareness and Involvement in Solid Waste Management Improvement”(Phase II)” and activists took part. 2013-09-26 "Clean Up Georgia - Clean-up - Khoni"
On September 20, Clean up actions were carried out in different areas of Khoni municipality. 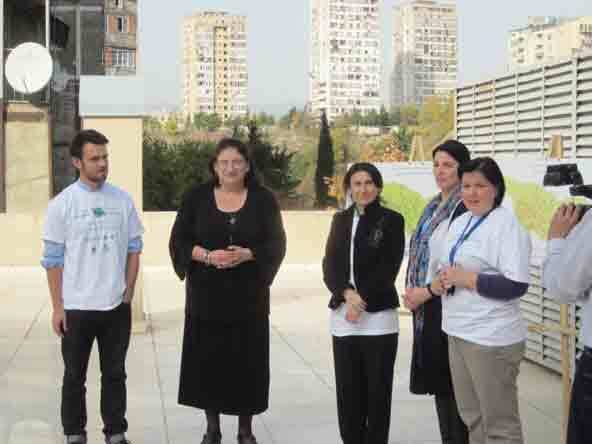 The events were organized by Khoni regional coordinator of Greens Movement of Georgia / Friends of the Earth – Georgia. During the event city sport school and agricultural market surrounding areas , Bagrationi street roadside and V. Bakhtadze street passing channels, central kindergarten surrounding areas were cleaned up. Staff of Greening and Cleaning Services of the Municipality took an active part in the action. Khoni- - Kutaisi and Khoni - Samtradia roadside suspension has been arranged. These sites have been cleaned up from plastic bottles, bags and other types of waste. 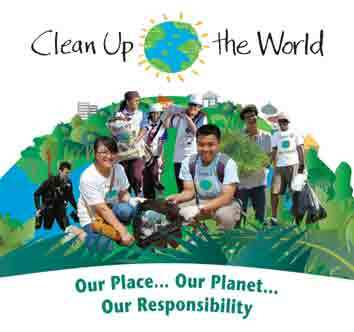 20 september in River Jejora waterline surrounding area in Oni town, along with city park and agricultural market nearby areas, approximately 2,5 ha in area, and around 4 ha of area of community centers of villages- Ghebi, Chiora, Glola and Utsera –were cleaned up. Time: 07:00 hrs. -08.30 min, Clean up action will be commenced on the way while moving towards the path Narikhala and be finished at the end of Dadiani street beside the "springs", where Cleaning Municipal Service’s waste transportation vehicles will be mobilized. Gathering Place: Rose Square - beside the “ Bicycle"
17 Village centres of Abasha municipality(Sepieti, Marani, Ontopo, Norio and etc). In the vicinity of river Ochkhomura waterline, polluted 20ha area. Centres of villages: Kvaloni, Kheta, Khamiskuri, Chaladidi and the 1st of May, along with the centre of town Khobi, with total area of 2ha. Clean up of Tsundi Lake adjacent area. 30-35 hectares area in 26 villages of Akhmeta municipality. Kaspi adjacent area – towards Metechi , on both parts of the roadside , 4km long section -1,5ha in area - 2,5 cubic meters of waste. Population and Public Service employees will participate in the action. Former agricultural market area located at Ninoshvili street. 45 km long section of highway, waterline of the rivers Lashisghele and Oragvisghele, all schools and territorial centres adjacent areas, with total area of 5ha. Bondi bridge area of 50 sq..m.
Bus station, market adjacent area, centres of villages, Supsa river waterline settlements, with total area of 3ha. Centre of town Ozurgeti, market adjacent area, River Natanebi waterline surrounding area in the town along with in settlements, with total area of 5ha. The “Community Development ” association - Lentekhi Municipality project management center along with Lentekhi administration, schools and medical institutions are joining the World Clean Up action and will clean up Lentekhi streets, squares, areas of departmental agencies and adjacent places. Both sides of 3 km long Samtservisi cross, 1.5-2 hectares in total. Centres of Villages- Menji, Teklati, Nosiri, Old Senaki with 2ha area.